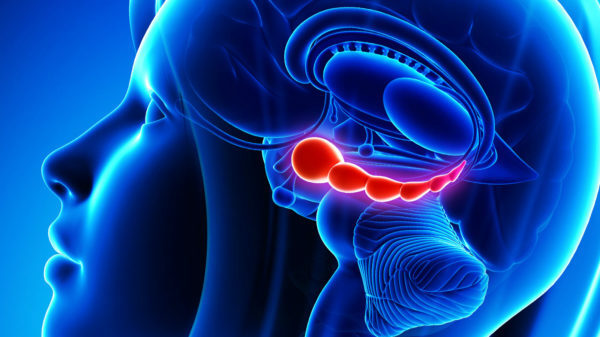 Image of the hippocampus in the human brain. The studies were led by graduate student Anthony Lacagnina of The University of Texas at Austin, with contributions from Emma Brockway, Chelsea Crovetti, Francis Shue, Meredith McCarty and Kevin Sattler of The University of Texas; and Sean Lim, Sofia Leal Santos and Christine Denny of Columbia University . Funding for the research was provided by the National Institutes of Health and the Portuguese Foundation for Science and Technology.